October’s Guest Room Sessions begin with Louisiana-born singer-songwriter Shelly Waters performing her song “Evangeline,” in a South Carolina park. 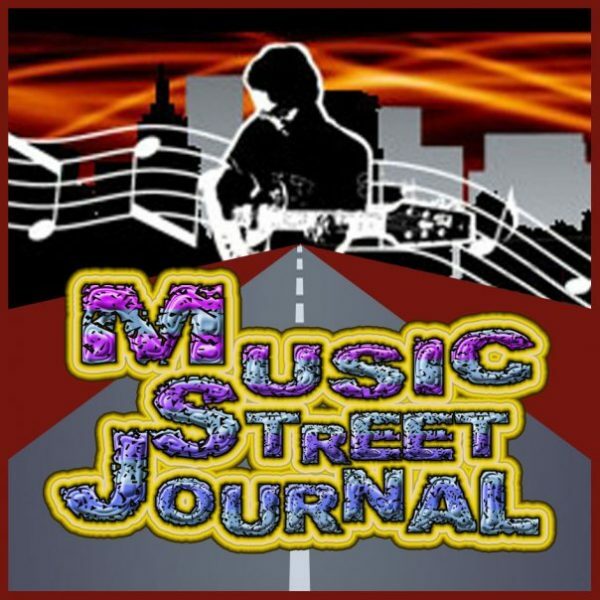 Readers can press play above to watch the acoustic al fresco performance. According to Waters, the inspiration for “Evangeline” runs deep — all the way back to her home state. To film her Guest Room Sessions clip, Waters chose another park: White Point Gardens in Charleston, S.C. She stopped to film while en route to her new home of Portland, Maine, and is joined by renowned Lowcountry musicians Wes Powers on cajon and guitarist Dale Baker. “Evangeline” appears on Shelly Waters’ latest self-titled album, released in July. Old school country music and fuzz driven blues guitar merge on this cool number. It’s a slow moving tune with powerful vocals. The arrangement gets a bit more powered up further down the road, but it doesn’t really speed up at all. The organ brings a real retro vibe to this thing, but the whole song conveys that in a lot of ways. The tempo gets an infusion of “oomph” on this. It’s an electric rocking country based stomper that’s quite strong. This is a fun tune. This one definitely has a lot of bluesy hard rock built into it. I love the guitar soloing, but the whole musical tone is just so tasty. This mellower cut has a nice balance between blues and country music. The organ again brings some retro texture. A more rocking number, this one also has a lot of blues in the mix. Sure, it’s still packed with plenty of country. I love the guitar sound and the picking on the piece. I’d bet that most people know of this as a song by UB40. It was actually written by Neil Diamond, though. I don’t think I’ve ever heard his version. I wouldn’t be surprised if this is closer to it than the UB40 rendition is. This is a bluesy kind of number as presented here. It has a real classic old school bluesy country sound to it. It’s a strong tune, but I prefer the one from UB40. The bluesy, distorted guitar sound on this brings an almost garage band sound. The cut is just guitar and vocals. 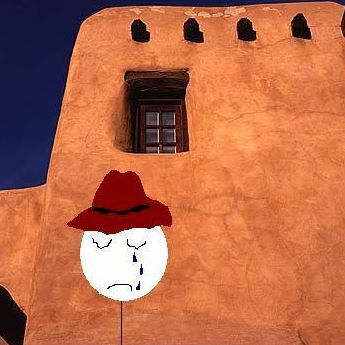 It has a real down-home country blues vibe to it. More of a rock sound permeates this piece. It has a much more modern sound than the last couple songs did. It still has a basis in bluesy country sounds, but it lands much more in the vein of pop rock than it does anywhere else. Old school rock and roll is the idea here. I love the bouncing energetic groove to this cut. It’s just a lot of fun. An acoustic guitar based number, this is a slow ballad. This cut is very much a hard rocking number. It has plenty of blues and country in the mix, but really fits well into the kind of hard rock that was such a big part of 1970s music. That said, this has a more modern edge to it. However you categorize it, though, I love this tune. It’s just so cool. This mellow cut is solid. It’s more of a modern number in a lot of ways, but still has plenty of that old school sound built into it. Personally, I tend to think that the previous cut would have made for a better closing song. Still, this works reasonably well in that slot. It doesn’t take long to recognize a classic country voice. That’s obvious from the initial listen to Shelly Waters. After a budding early music career, starting as a pre-teen, life intervened in Shelly’s early twenties. But she has returned to music with a vengeance. On the heels of her critically acclaimed 2014 release Drive, Shelly followed it up with this summer’s new album, the self-titled Shelly Waters. Shelly has a versatile voice that leans toward classic country a bit. Her songs come across with an honesty that draws upon her Louisiana roots. And the song selection and ordering on this disc provide a showcase of the breadth of country music ground she can ably cover and deliver a satisfying listening journey. The first song on the new album wowed me right from the start. Indeed, when trying to attract fans (and reviewers), it’s good to lead with strength. And the initial guitar chords of “Drink the Water,” followed quickly by a classic country gravelly wail, signals the gritty country awesomeness of this disc within the first few seconds. Though she’s leading men rather than horses in this song, the title phrase provides a familiar point of reference for the emotional lyrics Shelly delivers with a bluesy country soulfulness. The slow-to-mid-tempo opener is quickly followed by the uptempo “Red Hot Red,” an energetically rockin’ country boot-scooter. Shelly showcases the mellow end of her musical spectrum with oh-so-slow, heartfelt ballad “Knew You When,” a tune on which her vocals almost seem to expose a crack in her emotional strength, aligning with the vocals in a way that suggests the singer would love to break down and cry but is maintaining strength. With the added emphasis of slide guitar twang, it’s primo old-fashioned country balladry. And it’s followed immediately by the more energetic “Time for a Change,” another example of the song placement I referred to earlier. It’s why you listen to albums like Shelly’s in their entirety, beginning-to-end. There’s also some deft, well-placed guitar-picking in this number that helps bring a smile to the listener’s face while the tempo and arrangement suggests a train rolling down the tracks, signifying the unstoppable nature of the lyrics’ decision, whether it’s truly unstoppable or merely an attempt by the song’s subject to convince herself of it. I’m also fond of the next song pairing. First up is a countrified cover of “Red Red Wine,” full of slow, soulful mellowness. It’s not the “red” but, instead, the “blue, blue heart” from that song that ties nicely into “Nothing Bluer,” another blue tune that, if anything, ratchets up the sadness on the country blues meter. Though, contrary to the song title, it’s an old-fashioned country crooner that’s bursting with Opry and devoid of Bourbon Street. The rest of the album continues showcasing Shelly’s talent and versatility. While I could touch on a distinctly original point within each of the songs, I’ll mention just two more by name. “My First Car” could be a modern country hit, in large part because such cleverness often strikes a chord with current country music fans. Though there’s a throwback nature to this song (if not for the gender-specific lyrics, I’d say it sounds like it was written specifically for Marty Stuart), lines like “country girl with a little bit of luck/my first car was a truck” sounds like it could be a companion number to Carrie Underwood’s “Before He Cheats,” either on the radio or on a cover band’s set list. Oh, they’re not stylistically similar, but the two songs share a symbiotic attitude. And album-ender “Louisiana Rain” serves as an ideal finale. It twangs sentimentally, coming across with an honesty that can probably only come from a genuine Louisiana girl like Shelly. And such honesty is a great way to close a disc. I’m glad this disc found its way onto my radar. There’s nothing groundbreaking about Shelly Waters’ self-titled sophomore effort, but it is an emotionally satisfying, exceptionally well-written and performed country music journey, and that’s one of the main reasons we all listen to music, isn’t it? Shelly’s music is more classic than new country, though in the end it’s probably best described as timeless country. If you’re a fan of this kind of country music, then Shelly Waters should be part of your collection, one of your 2017 country music album acquisitions. Shelly Waters’ musical roots run as deep and wide as the mighty Mississippi River that snakes through her home state of Louisiana. Her perfectly blended sound – a seasoned Americana stew of blues, country, and rock – is evidenced on her latest self-titled album, which was released July 28th. Recorded in Nashville with producer Josh Kaler, the project contains twelve tracks including album opener, “Drink The Water,” a soulful number about the realization that you simply can’t make another love you. TDC is pleased to premiere the video for “Drink The Water” which you can view in its entirety below, then read on as Waters gives further insight into the song and video. Sometimes albums are meant to flow together as a single piece. Sometimes they’re designed for each track to stand on its own, destined for a shuffle playlist. While it’s clear that Shelly Waters put thought into the story this album tells, it feels much like the latter. It’s not that there’s anything artificial about this album. Quite the contrary — every song on this album is a keeper and is more than strong enough to stand on its own. Waters dominates the gamut from blues to country to swamp pop with her Rickenbacker hollowbody and full-bodied voice. Waters’ musical roots run as deep and wide as the mighty Mississippi River that snakes through her home state of Louisiana. Her sound is the epitome of the holy tonal trinity of blues, country, and rock. “I want my music to represent all of those genres – because that’s what I love best – and I love blending those sounds together,” Waters affirms. “Growing up in South Louisiana I listened to a lot of swamp pop, old R&B, and rock ’n’ roll. Those tones and those iconic voices are what I’m drawn to and that’s what I feel the most comfortable singing. My music is Americana through and through.” The uniqueness of Waters’ powerful and haunting voice brings her music to life and her lyrics betray a life filled with twists, turns, and adventure. From intimate coffee shops to festival crowds of 10,000+, Waters’ winding musical road has led her to share stages with a wide spectrum of artists as diverse as the legendary Loretta Lynn to the amazing Alynda Lee Segarra (Hurray for the Riff Raff). Waters has also shared a billing with Randall Bramblett, Curley Taylor and Zy- deco Trouble, Kim Simmonds, Savoy Brown, Kitty Wells, Mel Tillis, and a host of other well-known musicians. While Waters’ unforgettable voice and unique blend of genres have captivated audiences for years, her journey began in a sleepy Louisiana town called Rayne. miles. While Waters continued to dabble in music, it wasn’t until 2013 that she found her way into songwriting. Her debut album of original music, Drive, was produced by Grammy-nominated guitar phenomena Joe Taylor and released to critical acclaim in 2014. In 2016, Charleston City Paper selected her as a “Best of Charleston” Female Vocalist Nominee. From intimate coffee shops to festival crowds of more than 10,000, Waters’ winding musical road has led her to share stages with a wide spectrum of artists as diverse as the legendary Loretta Lynn to the amazing Alynda Lee Segarra (Hurray for the Riff Raff). Waters has also shared a billing with Randall Bramblett, Curley Taylor and Zydeco Trouble, Kim Simmonds, Savoy Brown, Kitty Wells, Mel Tillis, and a host of other well-known musicians. While Waters’ unforgettable voice and unique blend of genres have captivated audiences for years, her journey began in a sleepy Louisiana town called Rayne. Shelly Pellerin Waters was born to a Cajun-French family and was raised on a farm in Rayne. When she was 10 years old, she began taking guitar lessons, and, being a quick study, at the tender age of 11, Waters joined J.B. David and the Mule Skinners, a local French Cajun band. The band played in Cajun dance halls, private events, and music festivals as far away as Nova Scotia. Touring with a band and signing autographs was quite an adventure for an 11-year-old. After a year with the Mule Skinners, Waters started her own country band, Shelly and Southern Spice. The band played locally and regionally for many years. Along the way, Waters’ heartfelt rendition of Percy Sledge’s “When A Man Loves A Woman” – performed in a college beauty pageant – helped land her a chance to compete for the title of Miss Louisiana America. NEW ALBUM IS OUT TODAY! Shelly Waters’ musical roots run as deep and wide as the mighty Mississippi River that snakes through her home state of Louisiana. Her sound is the epitome of the holy tonal trinity of blues, country, and rock. While Waters’ unforgettable voice and unique blend of genres have captivated audiences for years, her journey began in a sleepy Louisiana town called Rayne. Shelly Pellerin Waters was born to a Cajun-French family and was raised on a farm. When she was 10 years old her mother decided that her daughter needed a hobby and Waters was soon taking guitar lessons in the back of an auto parts store. A year later, Waters joined J.B. David and the Mule Skinners, a local French Cajun band, and toured North America. By the time Waters hit her teen years she was fronting her own band and touring the Louisiana region up until her college years when life threw her a curve. Waters moved from Louisiana to Texas to South Carolina to Maine earning her US Coast Guard Captain’s License, living for eight years on a sailboat in the South Carolina Lowcountry and sailing over 20,000 nautical miles. The experiences led to Waters debut solo album in 2014 and now she returns with her latest self-titled offering. Produced by multi-instrumentalist Josh Kaler in Nashville, the dozen tracks on the self-titled album will be released July 28. They reflect Waters’ humble beginning growing up on the sounds of swamp pop, blues and rock & roll. Innocent Words is honored to premier Waters’ take on Tom Petty & the Heartbreakers song “Louisiana Rain.” We sat down with Shelly Waters and asked her about this haunting cover version. Innocent Words: “Louisiana Rain” is fantastic Tom Petty song, which is one of his buried treasures. What inspired you to pick this song? Shelly Waters: I grew up in South Louisiana, but the road of life has led me to Texas, South Carolina and now Maine. “Louisiana Rain” describes a transformative journey, not unlike my own. Louisiana will always be my home, but I’ve been shaped by twists and turns along my way. Innocent Words: Your version is different from the original, which I appreciate. What was the mindset going into recording this track? 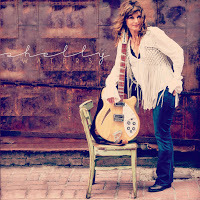 Shelly Waters: I worked with producer and multi-instrumentalist Josh Kaler on this album. He was intrigued that I wanted to cover a Tom Petty song and proclaimed early in the process that we would have to “make Tom proud.” This version is more stripped down than the original recording and my live version, but I believe it captures the essence of the song beautifully. While recording the vocals, I remember tearing up and getting a lump in my throat; that’s when I knew this would be a perfect finishing touch on the album. Innocent Words: What do you think Tom Petty would think of this? Shelly Waters: Great question! It would be super cool to know and I’d be humbled to hear the answer from the man himself. Innocent Words: You mentioned you play this song live, what is the audience reaction? Shelly Waters: I have played the song live many times. The amazing crowd response was a primary factor in deciding to cover the song for the album. Innocent Words: Tom is a master songwriter, what is your favorite lyric in this song?